Get FolderBuddy for GMail directly from the AppStore. FolderBuddy is now available on the AppStore ! What is FolderBuddy exactly ? 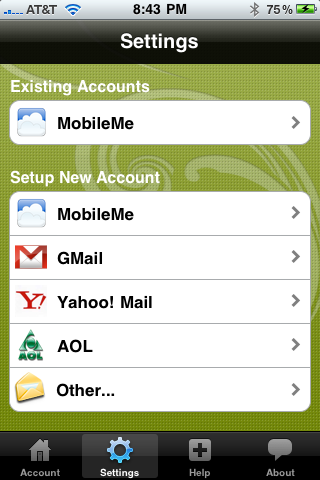 FolderBuddy is the easy-to-use IMAP folder manager for the iPhone with an intuitive and beautifully designed GUI. 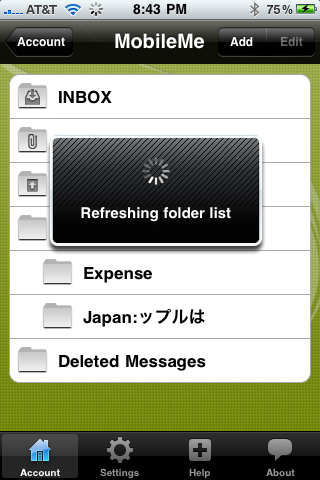 With features such as shake-to-refresh and swipe-to-delete, you’ll be able to better manage and organize your email. What is the difference between FolderBuddy and FolderBuddy Lite ? FolderBuddy Lite has the same features as FolderBuddy, although unlike the standard version of FolderBuddy, FolderBuddy Lite will append the string _demoFolderBuddy to any folder you create or rename. In addition, you will be reminded about the full version after each add, rename, or edit operation. What is the difference between FolderBuddy and FolderBuddy for GMail ? FolderBuddy for GMail has the same set of features as FolderBuddy, although unlike the standard version of FolderBuddy, FolderBuddy for GMail is limited to work with you @gmail.com email address. Read the FAQ for FolderBuddy. If you would like to publish a review and would like to get a promo code, please don't hesitate to contact me. Click here to open FolderBuddy in . You can find more information on www.FolderBuddy.com too ! Latest version 1.3 is now available in the AppStore and display the email quota usage for the server that are compatible with the QUOTA imap command. The screenshot gallery is just one link away : view screenshots.